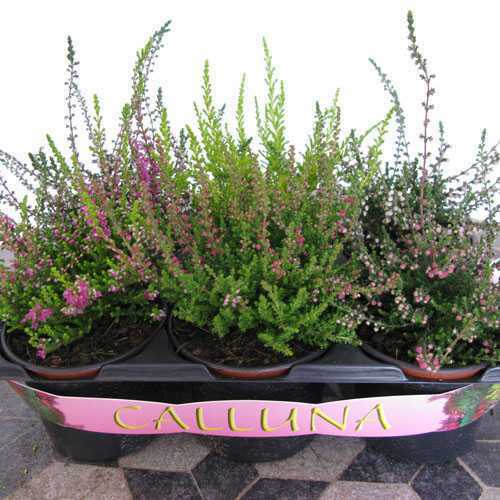 Heather Calluna Tray of 6 mixed colour heathers. These are a small evergreen shrub with green needle like foliage. 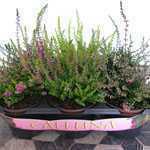 The pack contains an assortment of different coloured flowers which bloom in late summer and autumn.